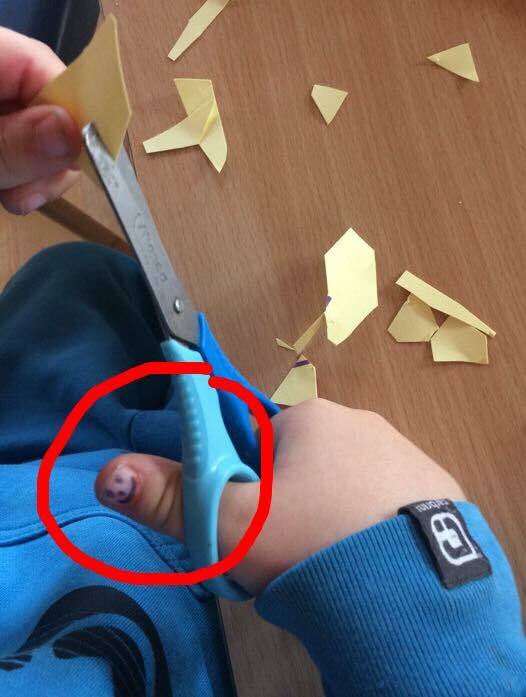 Teaching children how to use scissors. Hmmm... This can be quite tricky at times. A few children were struggling and didn't to improve on their skills. So my assistant got an idea and drew these little faces on the children 's thumbnails and told them that the little faces needed to be looking at them all the time while cutting. If the children use the scissors incorrectly, their thumbs usually twist under their palms and away from their body. 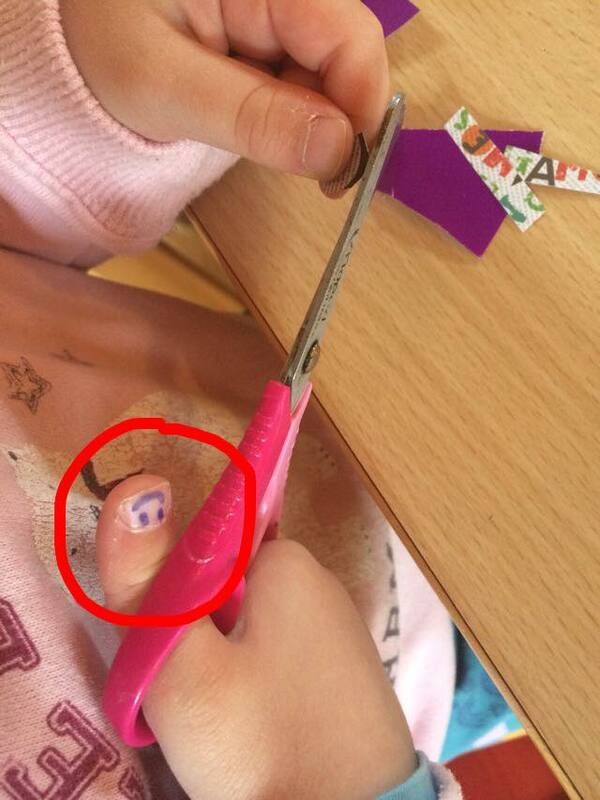 By keeping that little face drawn on their thumbnail in sight, they automatically use the right position for cutting with scissors . The children reacted very well to the idea of a little man looking up at them. 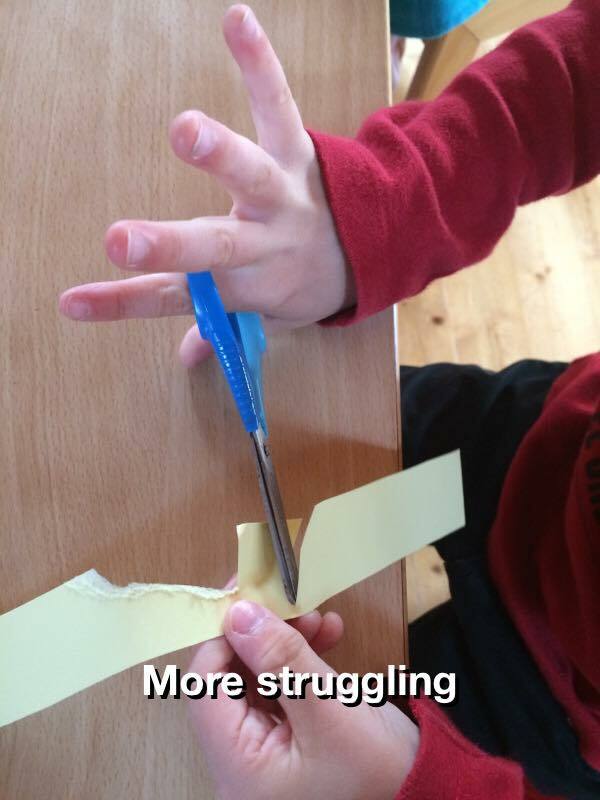 they held their scissors properly and were able to cut small strips of paper by themselves.They felt empowered and ask for more cutting. To enhance further learning, I will add extra cutting strips with pre-drawn lines. And why not making the cutting exercise seasonal to spark up their interest with halloween just around the corner? I had made some for Easter before. So why not about Halloween? It was a very rainy day today. Horrible day really. We really couldn't go out, so we asked the children after snack time, what they thought we should be doing now. And they all agreed that they wanted to dance and play fun games with the music. So that's what we did. I asked the children to follow the rhythm: they had to pretend to be little bees. When the music was fast, they had to dance fast ; when the music slowed down, they had to slow down too. They LOVED it!! They had so much fun, it was amazing. We also played musical statues and I chose tunes which went very quiet and suddenly very loud: Flight of the Bumble Bee by Rimsky Karakov, In the Hall of the Mountain King by Edvard Grieg or The Return of the Animals by Danny Kosarin. The children had to concentrate a lot. At the beginning, they thought I had paused the music and froze, when the music had only really got quiet. It took them a while to get it right and adjust their movements to it but this was part of the fun! How wonderful it is that with very little effort, a teacher can bring such happiness to children each day just by providing the opportunity to do a little something with music. I have just realised I haven't posted any pictures of our classroom for quite some time now. And things always change in the classroom. 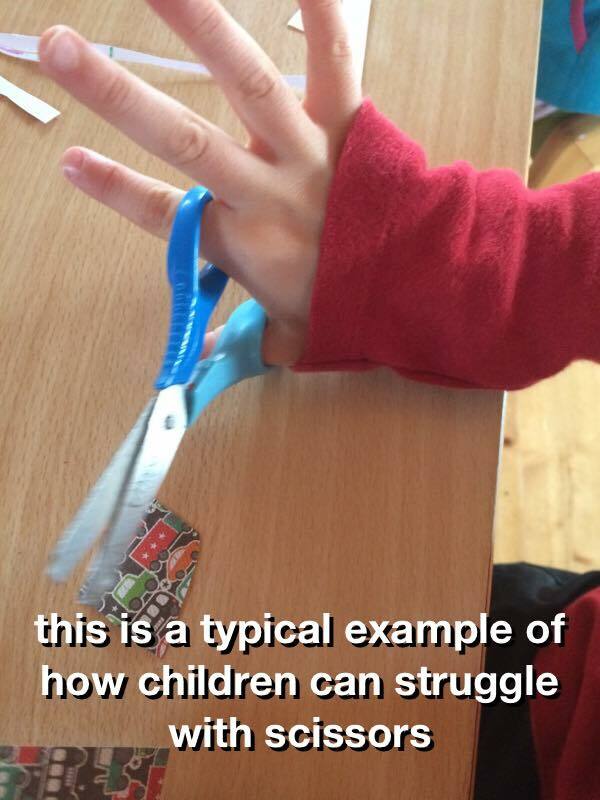 I can't push the walls but I surely can adapt the layout to the needs of the children year after year. This September, I am opening my doors to a larger number of 2.5 to 3.5 year-old preschoolers. They will form our "caterpillar" group. The "veterans" (over 3 and a half year old and going to primary school next September 2017) will be called the "butterfly" group. 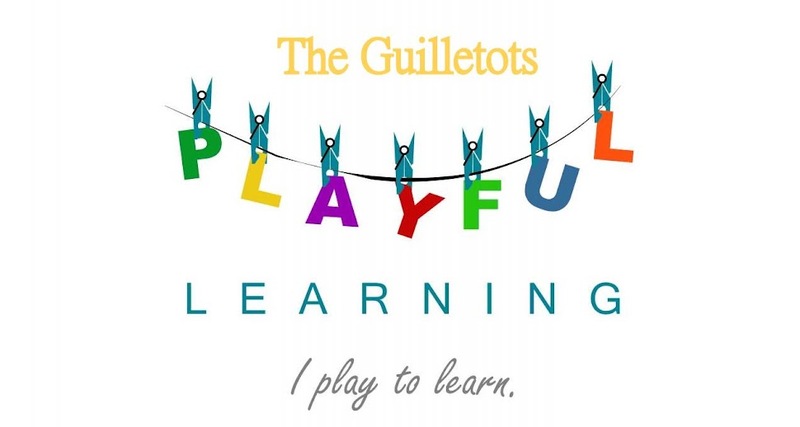 I wanted to strike the right balance between the 2 groups and accommodate each of their needs, keeping in line with the Montessori method of education and the Reggio Emilia approach.